Here are the details of this year's Holy Week and Easter Services. Special mention should be made of our Maundy Thursday worship which will take the form of a Eucharist and Bring-and-Share meal. 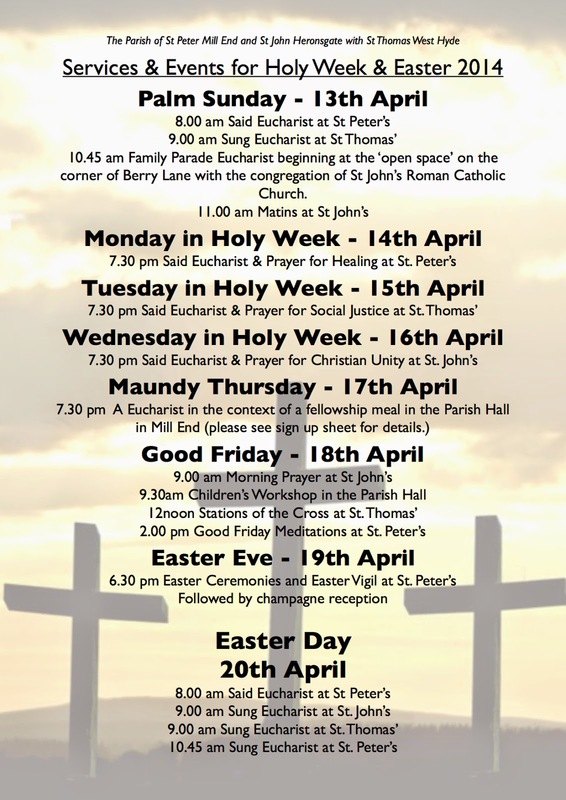 Please also note the time of the Easter Eve Service - at which Paschal Candles will be blessed, we will renew our Baptism vows and begin to celebrate the Resurrection. This service is deeply moving and atmospheric but would be one that families might want to come to as well as our Easter Morning services! Everyone is welcome at some or all of our worship this coming Holy Week, and if you would like more details then please do get in touch.